Groovy wasp in the office at work! 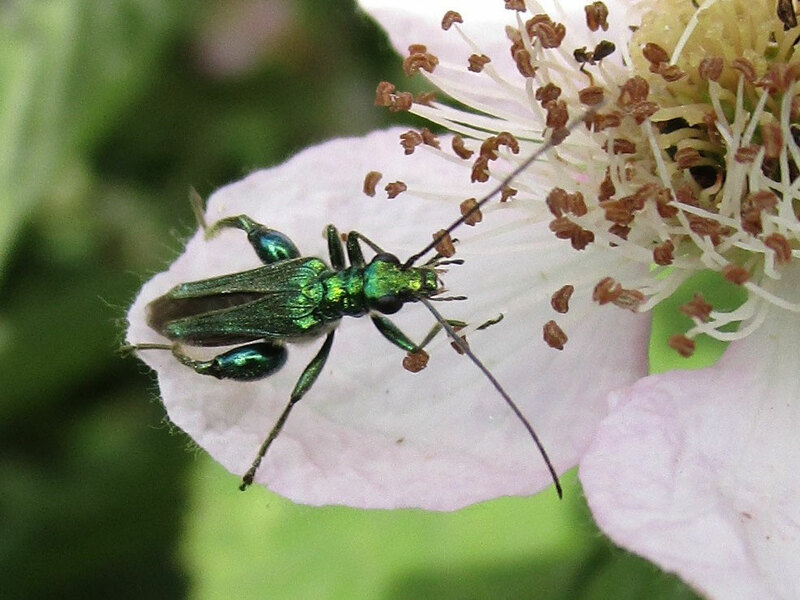 I have to walk past a dog rose in Church Walk on the way home, and today it was alive with thick-legged flower beetles – so called because they like flowers and the male has thick legs, like this. 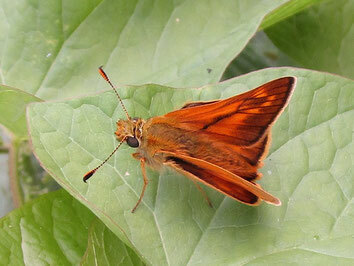 This large skipper butterfly was quite obliging to the cameras too – it wouldn’t open its wings fully, but then they rarely do; this strange pose in which the hind wings are slightly more open than the forewings is characteristic of large skippers.